This isn't a spacecraft image, but it looks like one. Christian has produced a magnificent view of the area from Gambart east to Schröter (near bottom right). Hummocky mounds of Imbrium ejecta provide most relief, with mare lavas from Sinus Aestuum filling in low spots. Radial and looping chains of secondary craters from Copernicus (beyond the upper left margin) demonstrate that we really don't understand the details of ejecta ballistics. Although there are interesting rilles along the northeast edge of this frame, what is remarkable is a faint sinuous rille that starts at the mare ridge northeast of Gambart and flows at least 50 km to the south before becoming undetectable. 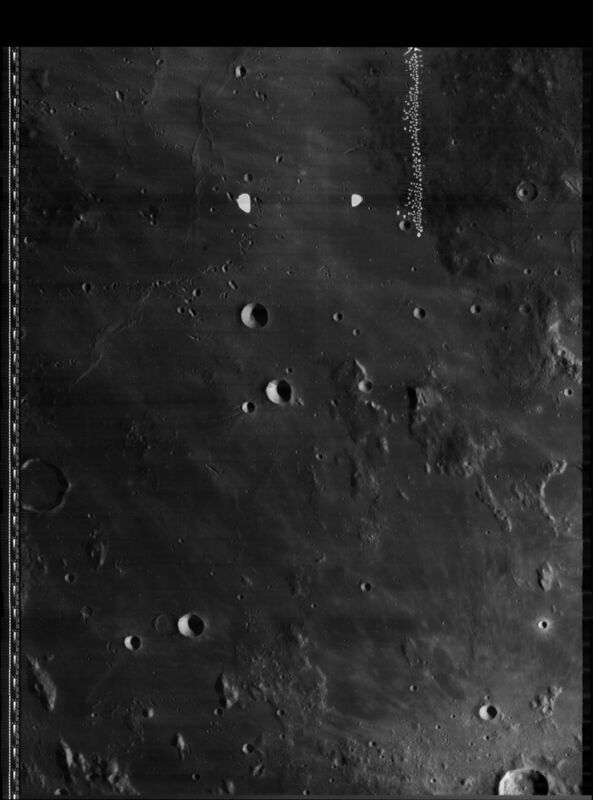 This rille is barely visible in a Lunar Orbiter IV image and may be generally unknown. For a rille to start at a mare ridge shows that either there may be a volcanic component to some ridges and/or that the low angle fault of the ridge provided a conduit for magma to rise and erupt on the surface. I am unaware of any other rille starting at a mare ridge. 24 August 2008- 2h37mnUT. Celestron 14 (extender QX1.6 Takahashi) + Skynyx 2.1M video camera + Astronomik red filter; 400 images, Avistack. This page was last modified on 9 March 2019, at 02:03.